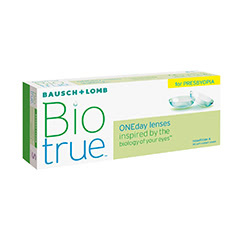 Biotrue contact lenses feature innovative technology that provides long-lasting comfort and stable vision throughout the day. 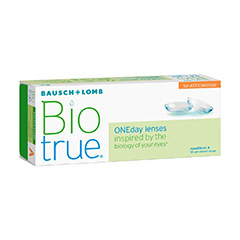 Developed by manufacturer Bausch & Lomb, Biotrue products range from contact lenses to solutions. 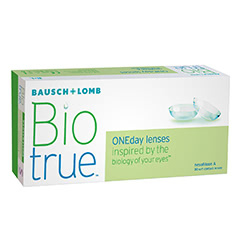 All are designed to replicate the natural composition of your eyes, keeping them feeling fresh and healthy. 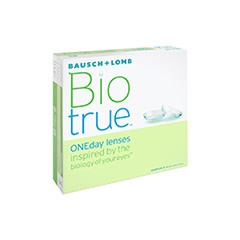 Buy your Biotrue lenses at Lenstore.co.uk, and you will enjoy superb quality products with fast, reliable delivery. We provide you with premium customer service, expert advice and other exclusive offers such as a free sight test at your local Vision Express.